My 'breakthrough' quilt is inspired by the Freudian concept of suppression. When suppressed memories, conflicts and emotions break through into the conscious mind, energy is released. the 'talking' silhouettes are about the voices in one's head, the flowers are about both renewed energy and memory. 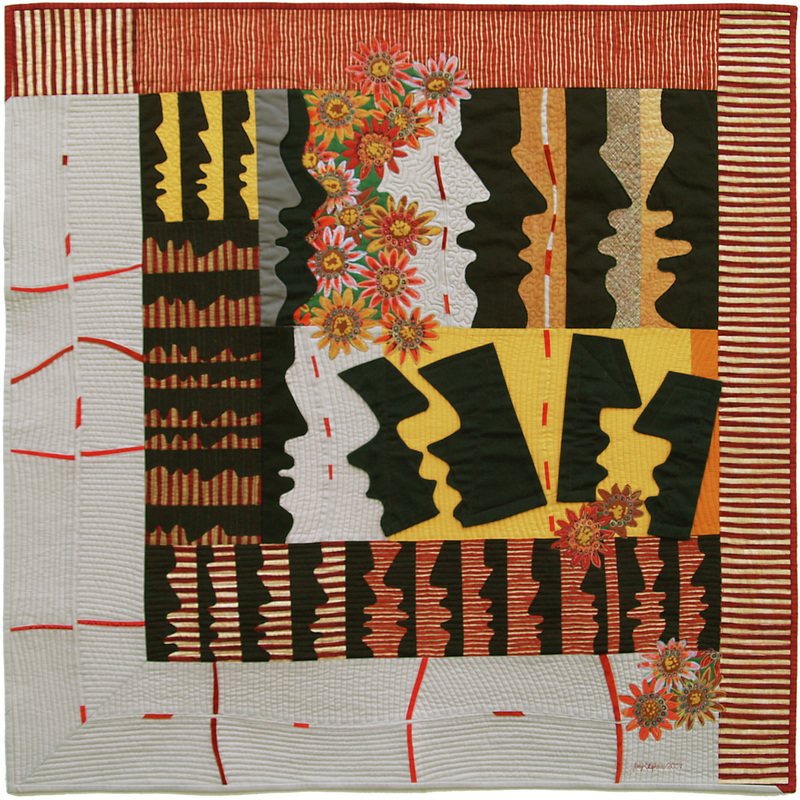 Some of the heads almost break free from the surface of the quilt. For me the quilt is also a breakthrough because it is the first time I have played with the same image to develop a series of quilts. I first used he idea of a face applique profile in my Thin Blue Line entry (a Contemporary Quilt challenge in 2008) and then via journal quilts, developed Voices. The techniques used are piecing, fused and faced applique, free machining and machine quilting. The materials are commercial cottons, silk and vintage crushed velvet and rayon taffeta.